A naturally occurring, unrefined petroleum product composed of hydrocarbon deposits. 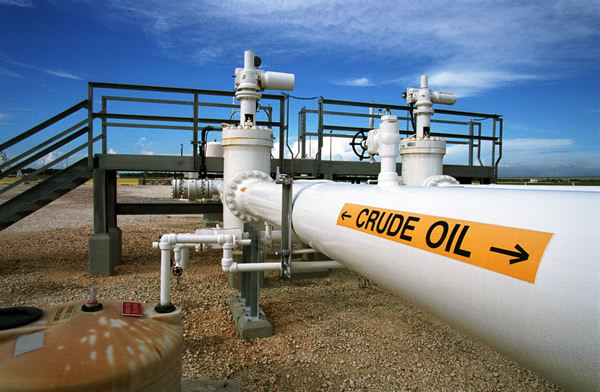 Crude oil can be refined to produce usable products such as gasoline, diesel and various forms of petrochemicals. The world’s most actively traded commodity based on crude oil, which is unrefined oil that is a popular source of energy and energy-related products. Contracts on many different types of oil are traded on exchanges throughout the world. In the United States, the New York Mercantile Exchange (NYMEX) is the major trading exchange for crude oil futures contracts. Light sweet crude oil is preferred by refiners because of its ability to yield high levels of gasoline, diesel fuel, heating oil, and jet fuel…The benchmark light, sweet crude oil contract that NYMEX bases its contract on is the West Texas Intermediate (WTI) crude oil that is delivered in Midland, Texas. Cash prices for WTI are quoted at Cushing, Oklahoma, which is a major crude oil shipment point that has extensive pipeline connections to oil producing areas and Southwest and Gulf Coast-based refining centers. 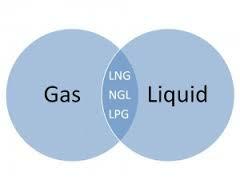 Natural gas is a mixture of gases which are rich in hydrocarbons. All these gases (methane, nitrogen, carbon dioxide etc.) are naturally found in atmosphere. Natural gas reserves are deep inside the earth near other solid & liquid hydrocarbons beds like coal and crude oil.Natural gas is not used in its pure form; it is processed and converted into cleaner fuel for consumption. Many by-products are extracted while processing of natural gas like propane, ethane, butane, carbon dioxide, nitrogen etc, which can be further used. Natural gas is mainly used as fuel for generating electricity and heat. Natural gas in compressed form is used as fuel for vehicles which is known as CNG. It is used as fuel for boilers and air conditioners worldwide. This is used for making fertilizers also, mainly ammonia.Natural Gas Spot and Futures Prices are based on delivery at the Henry Hub in Louisiana. Official daily closing prices at 2:30 p.m. from the trading floor of the New York Mercantile Exchange (NYMEX) for a specific delivery month. NGL are naturally occurring elements found in natural gas, and include propane, butane and ethane, among others. NGL are valuable as separate products and it is therefore profitable to remove them from the natural gas.The liquids are first extracted from the natural gas and later separated into different components. The natural gas liquids (NGPL) composite price is derived from daily Bloomberg spot price data for natural gas liquids at Mont Belvieu, Texas, weighted by gas processing plant production volumes of each product as reported on Form EIA-816, "Monthly Natural Gas Liquids Report."